An International Polar Year or IPY is a year or so during which many nations coordinate their Polar expeditions, observations and analyses. 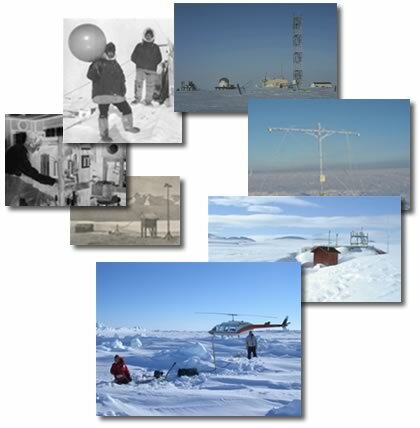 Techniques used today to monitor the Arctic environment (color photos) are far more sophisticated that those used in previous IPYs (black and white photos). The First IPY was from 1881 to 1884. The Fourth IPY was from 2007-2008. The First IPY, from 1881 to 1884, involved 11 nations and was the first coordinated international polar research activity ever undertaken, inspiring subsequent international research programs. There was a Second IPY in 1932-1933 involving 40 nations, and a Third IPY in 1957-1958 (67 nations) that was also called the International Geophysical Year or IGY because it included research outside the Polar areas. Planning for the Fourth IPY, 2007-2008, started in 2004. IPY measurements can be taken for more than a year. Although international coordination is maximized during the IPY, additional field expeditions or observations may be mounted by various nations in the year or two preceding or following the IPY. Therefore, the IPY may in fact encompass several years. The polar years’ emphasize the importance of the Polar Regions to global climate and of cooperative international research.